In contrast to its present colloquial use, the term ‘stable coin’ may be more suitable for a digital currency that is stable with respect to some form of global digital PPP exchange rate, rather than a specific fiat currency, since fiat currencies themselves are not ‘stable’ relative to each other. For example, a market-based mechanism such as the one employed with Ethereum gas could be used to experiment with the concept of a native stable currency on the Ethereum network. Since gas is used to pay for transaction costs and is denominated in ETH, the demand for it can be seen as similar to the demand that taxes create for fiat currencies in the conventional financial system. Cryptocurrency miners reside in the real world and pay for their bills in fiat currencies; they, therefore, generate demand for gas that reflects the cost of energy, hardware, and the cost of doing business in the real economy. An interesting experiment, with digital currency stability in mind, would be to have Ethereum gas formalized as a completely market-based floating currency (i.e., token) backed by ETH. A coin with a genuinely stable valuation relative to a digital PPP blend that is independent of government and central bank policies may come into play only when there is substantial economic activity on public blockchains. For this to happen, business entities and private persons alike need to start relying on public distributed ledgers for everyday transactions, an essential prerequisite for which is the ability to hold and use fiat (i.e., central bank) currency equivalents on public blockchains. The current conception of a stable coin most probably arises from an ambition to accommodate mechanisms that instead experiment with targeting fiat currency exchange rates without, however, necessarily guaranteeing redemption in the fiat currency itself. As explained later in the text, that would not be a bad thing in itself if it were not for the consequential concealment of the very antithesis of stability – volatility. A stable coin mechanism that targets a particular exchange rate with a fiat currency (typically USD) operates with high hopes of market efficiency. The underlying logic typically relies on incentives and disincentives involving the mechanism’s own currency/token, with the intention to have the market participants partake in the maintenance of its target rate ‘stability.’ Some projects even aim at mimicking central banks. However, they choose to ignore the fact that a central bank fixing its currency exchange rate also keeps substantial reserves in assets denominated in the currency to which its own currency is pegged. Even then, the central bank has serious difficulties maintaining the target rate under all market conditions unless there is a coordinated action that involves other central banks as well. The obvious solution is to dilute one’s own currency. However, absorbing the excess liquidity then presents its own challenges, while trying to maintain a fixed rate in real time without guaranteeing 100% redemption at that particular rate is virtually impossible. In 1992, George Soros made a fortune by placing his famous bet against the Bank of England and profited off Sterling’s decline despite the central bank’s 18% interest rate ‘incentive’ for the Sterling ‘hodlers’. And we are talking about GBP here. The paradox of having a mechanism targeting a particular exchange rate without the redemption guarantee is that the bigger the market, the more attractive the speculative opportunities and the greater the resulting volatility. The principal reason why the relative volatility of a non-redeemable ‘stable’ currency on blockchain renders it unsuitable for large-scale use is that it cannot be used as a medium of account in the real economy. Even if we discard oscillations in the price of goods and services as temporary, taking a loan in any currency other than the one the debtor’s income is denominated in, represents a substantial and otherwise unnecessary exchange risk for the debtor and consequently for the creditor as well. An example of what may go wrong when loan base currency differs from debtor’s income currency is the disaster that followed the period of credit expansion ending in 2008 in Eastern Europe. Outside typical end of business-cycle-related risks (e.g., buying into soaring real estate prices for the fear of missing out), commercial banks were happily offering, and borrowers were happily accepting, low interest rate loans in Swiss Francs en masse, despite their medium of account being the EUR (with national currencies mostly pegged to EUR exchange rates as well). When the CHF spiked against all fiat currencies including the EUR, everyone involved was suddenly underwater with their mortgages at the same time having their monthly installments increased by as much as 50% (partly due to the change in exchange rate, and partly because of the subsequent rise in interest rates owing to the suddenly elevated risk of borrowers defaulting). All of this was devastating to the regional economy, without even mentioning the simultaneous collapse in real estate prices (i.e., the collateral devaluation even in EUR terms). The consequences of this collective CHF short-trade-gone-terribly-wrong can still be felt throughout Central and Southeast Europe. In order to provide support for the entire spectrum of use cases in the real economy, the only sustainable design of what are presently referred to as ‘stable coins’ is the one based on 100% redemption guarantee. The trust in the capacity of a fiat equivalent on a blockchain to be fully redeemable in its fiat counterpart removes any possibility of exchange rate volatility as speculative trades become unprofitable. This shifts the focus of implementation away from technical complexity on blockchain and to the structure(s) required to support the mechanism in the legacy world. Risks that surface are no longer technical but rather legal and operational; KYC/AML procedures become the norm. Given the recent rise in rumors and even open public complaints in certain parts of the world, the phenomenon of having various commercial banks silently denying their service to customers who transact with cryptocurrency exchanges is a red flag that needs to be addressed seriously. Indeed, such a course of events may also bring new opportunities for banks operating in economies open to cryptocurrency entrepreneurship, but any digital-economy-based business that works on integration with the legacy world should weigh its options in the light of this new type of risk. A fully redeemable fiat equivalent on a (public) blockchain would be fungible, economically efficient, liquid, and if empirically proven as a competitive advantage, conditionally decentralized (free of counterparty risk). 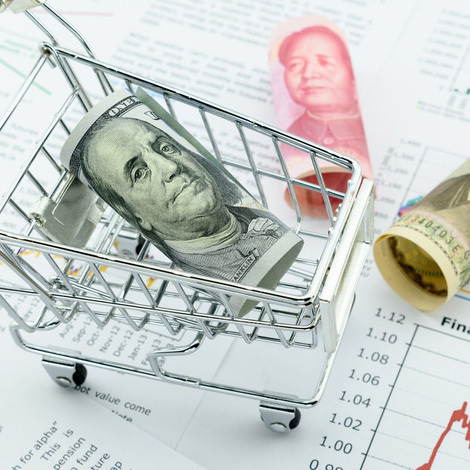 Depending on regulations within particular jurisdictions, it would be in some form of debt instrument or off-balance sheet item, similar to fiat money in the conventional financial system. At first, debt issuance would be informal, but it may soon be followed by pioneers from among regulated financial institutions. It is highly unlikely that central banks would ever opt for issuing their liabilities – the monetary base on public blockchains – but from a technological viewpoint, there is nothing preventing them from doing so. With luck, fiat equivalents on blockchains will escape falling under direct central bank supervision and the resulting subordination to the banking oligopoly. In a more fortunate scenario, fiat on blockchains may end up featuring certain competitive qualities such as the issuance of fully collateralized and, therefore, counterparty-risk-free fiat equivalents that come much closer to the concept of central bank money (i.e., cash) than commercial bank deposits do. Although some people may not realize it yet, this is a critical feature. Over the past decade, central banks have demonstrated their readiness to resort to negative interest rates that effectively tax and penalize savings only to artificially incentivize investments and consumption growth. At the same time, proponents of a cashless society (a society in which only commercial bank money is at the disposal of the general public) have never been more vociferous about banning cash altogether.